Vientiane, 20th November 2015 – Lao PDR’s new National Nutrition Forum met for the first time today to lay the foundations for action against under-nutrition, and to forge key messages for the 12th High Level Round Table Meeting. Over 100 participants from the Government of Lao PDR, Embassies, the United Nations and civil society took part in the meeting that also officially launched the new National Nutrition Strategy and Action Plan to run from 2016 – 2020. 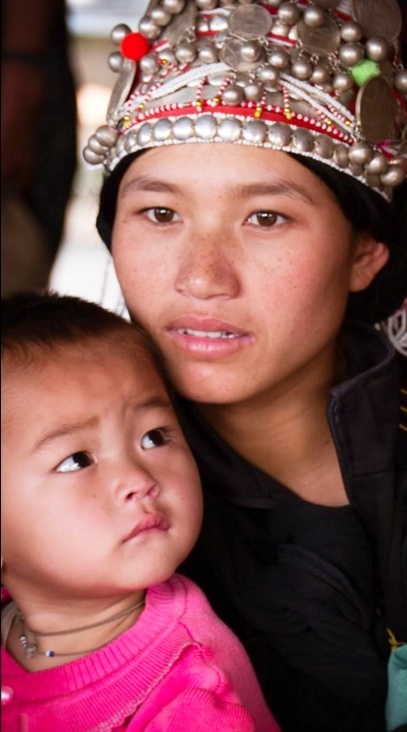 The latest Lao Social Indicator Survey states that nearly 2 million Lao citizens, mainly women and children, suffer some form of under-nutrition. Stunting is at 44 percent, and affects around 385,000 children under the age of five. According to a 2013 Report by the Ministry of Planning and Investment and UNICEF, Malnutrition has a huge economic cost for the country. Iron deficiency anaemia and stunting in young children alone brings a loss of US$ 99 million per year, and the the country loses up to US$ 197 million annually. The New National Nutrition Strategy and Action Plan aims to mainstream nutrition into overall national development, and will work across three sectors: agriculture, education and health, and water and sanitation. Targets include bringing down infant mortality from 68 deaths per 1000 in 2012 to 20 per 1000 in 2025 and bringing down the maternal mortality rate from 220 deaths per 100,000 in 2012 to 100 deaths from every 100,000 by 2025. “Massively improving maternal, infant and young child nutrition should not be seen as a cost, but as an investment in the future of Lao PDR. The economic returns on investing in nutrition may not be immediate, but are extremely high in the medium term,” he said. She called for “immediate action from all sectors, including Government leaders at national and district levels, development partners, civil society, and the private sector” and lauded agreement on more action. “We agreed to be better at coming together and to focus our resources towards critical priority nutrition interventions. We affirmed clear action points, clear accountabilities, clear coordination mechanisms and clear expected results,” she said. Ministry of Planning and Investment. , All rights reserved.